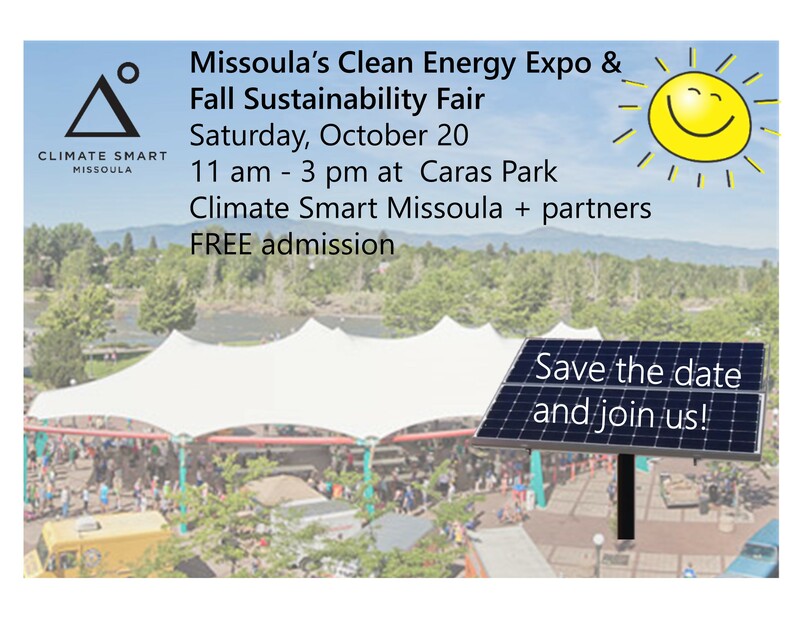 Does your business/organization work on clean energy, sustainable transportation, or zero waste? 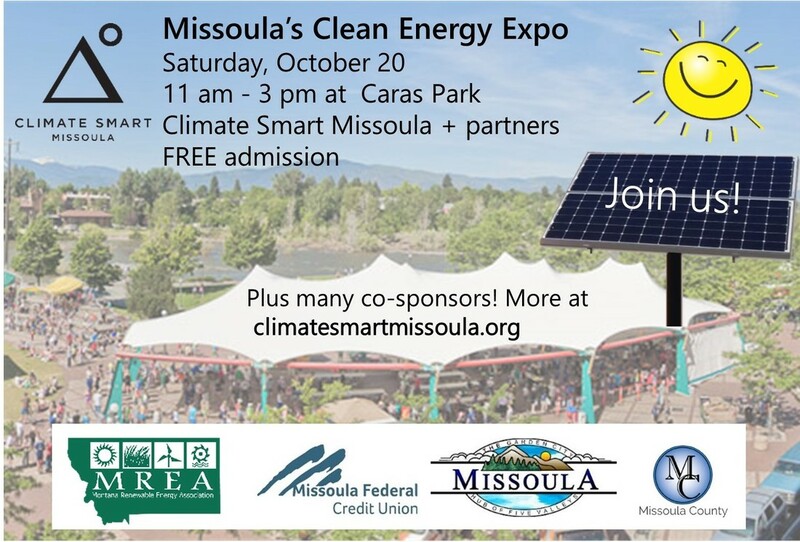 ​We want YOU to be part of the first annual Clean Energy Expo, Saturday, October 20, 2018 from 11am - 3pm at the ​Caras Park Pavilion. ​Sign up to co-sponsor via the form below, and contact us with any questions. Please spread the word to your members and supporters! Share the FACEBOOK EVENT or download and share the flyer to the right.